This is ROHS compliant Lead Free soldering wire. 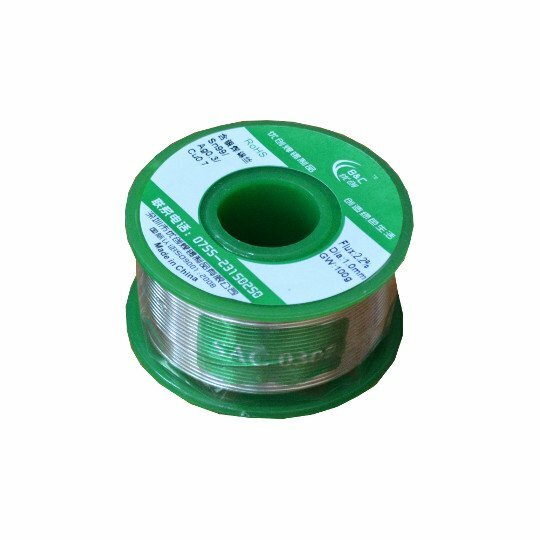 SAC0307 is cost effective replacement of SAC305 with reduced amount of Silver and tradeoff 8C higher melting temperature, which is not a problem with hand soldering. Thickness 1.0 mm is very good for PCB with PTH components repair and retouch. It's not so good for repair and retouch of small SMT components. Soldering iron temperature must be set between 245 and 375C.